Martin’s pursuit of the American Dream started in his hometown of Little Falls, NY. Son of a first generation American, Martin grew up in a hard working, blue-collar family. His father worked in local factories, and his mother stayed home to raise Martin and his six siblings. It was from these humble roots that Martin learned the value of hard work, and truly what it means to commit oneself to personal goals. Next time you meet, ask Martin about his first entrepreneurial venture! He’ll share the story of how at six years old he started selling popcorn during band concerts at his local park. 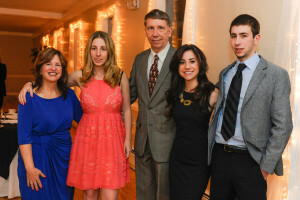 Martin graduated from Little Falls High School, and went on to earn degrees from Herkimer County Community College and Shippensburg University. After graduating he began his career as a Human Resource Manager with Navy Exchanges, where he served as a civilian supporting Navy communities. Martin’s assignments allowed him the opportunity to live all over the world. During this time he developed a deep understanding and appreciation for how our military operates outside the U.S., and gained extensive experience engaging with foreign nationals as he worked on international labor relations. 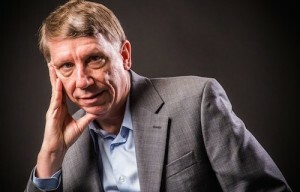 In 1988, Martin founded TriNet, a cloud based Human Resource company. 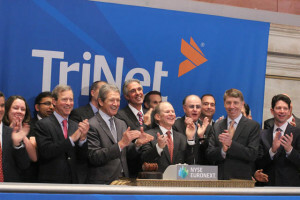 Today TriNet it a publicaly traded company that helps more than 10,000 small to mid-size companies throughout the U.S. with employer responsibilities and best practices to hire and retain top talent. Martin relocated his family back to Little Falls in 1999, so he and his wife Krista could raise their three children with the same small town values they both grew up with. He commuted cross-country for the next 10 years, while starting to lay the groundwork for his next endeavor. In an effort to create a job climate in upstate New York similar to what he experienced in Silicon Valley, Martin founded Upstate Venture Connect in 2010. UVC is a 501c3 non-profit dedicated to accelerating the creation and growth of startups by making it easier for first time entrepreneurs to connect with Upstate NY resources. Aligned with his mission to help entrepreneurs succeed, Martin next co-founded StartFast Venture Accelerator, which invests in and helps guide promising high-growth startup companies each year in Central New York. In addition to supporting these companies, Martin has personally invested in more than 20 New York-based startups, as well as 50-60 others through seed capital and venture capital funds, several of which he helped create. In Martin’s latest entrepreneurial venture, he co-founded IntroNet Corporation, a software startup creating a platform that helps people connect to resources and further grow the job creation environment. Together these efforts have influenced the creation of many new companies and lay the foundation for thousands of jobs right here in Upstate NY. Martin is running for New York’s 22nd Congressional District. His experience as a job creator, independent and entrepreneur will help more people pursue their own American Dream, and keep families together while growing stronger communities in Upstate NY. Martin lives in Little Falls, NY with his wife Krista. They have three adult children. Martin is running for New York’s 22nd Congressional District to create a connected ecosystem where more people have the opportunity to pursue their own American Dream – keeping our families together as we grow stronger communities in Upstate NY. Martin Babinec is a true political outsider. He’s not only an entrepreneur who has created thousands of jobs in his own companies, but over the past six years Martin has dedicated himself as a volunteer and startup investor to help other entrepreneurs and organizations create jobs across upstate New York. This proven track record gives Martin the experience to lead change that produces results.